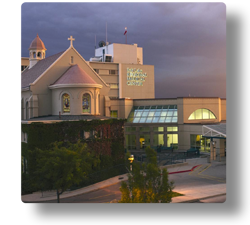 Salt Lake Regional Medical Center In Partnership With Physician Owners has been caring for the people of the Salt Lake Valley for more than a century. Built in 1875, it was one of the first hospitals in the Salt Lake Valley. The Sisters of the Holy Cross were the original owners and they continued to operate the hospital until 1994. 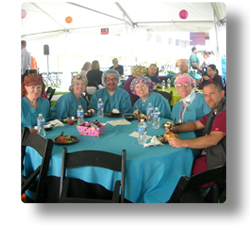 Their work has left a lasting legacy of service and commitment for all who work at Salt Lake Regional today. Conveniently located near the heart of the city, this historic hospital remains one of the most trusted medical centers in all of Utah. Today the 200-bed hospital encompasses 316,000 square-feet of medical facilities, has the most advanced medical technology and a staff committed to staying on the leading edge of healthcare. Salt Lake Regional Medical Center, with just under 600 employees, has established itself as a leader in quality healthcare services. That includes specialists in cardiology, orthopedics, neurology, maternity and women's services, men's health, rehabilitation, geriatric medicine and mental health services for seniors, sports medicine, oncology, emergency care and bariatric services. We care about people, treating our patients and each other with dignity, compassion, and respect. We encourage innovative thinking and leadership excellence, which promotes the advancement of quality and health care delivery. Salt Lake Regional Medical Center is a physician-owned hospital that brings world-class medical expertise and compassion to the care of every patient.